In 1953, 15 families formed a food-buying club in Seattle. Over the past six decades, that initial enterprise has grown to be the largest consumer-owned natural food cooperative in the U.S., with over 52,000 members. Here in the Fremont neighborhood, we are fortunate to have one of PCC Natural Market’s 10 stores in the Puget Sound region. This is a view of the Fremont PCC’s outdoor dining area, a popular place for a quick lunch from the deli, especially when the weather is nice. 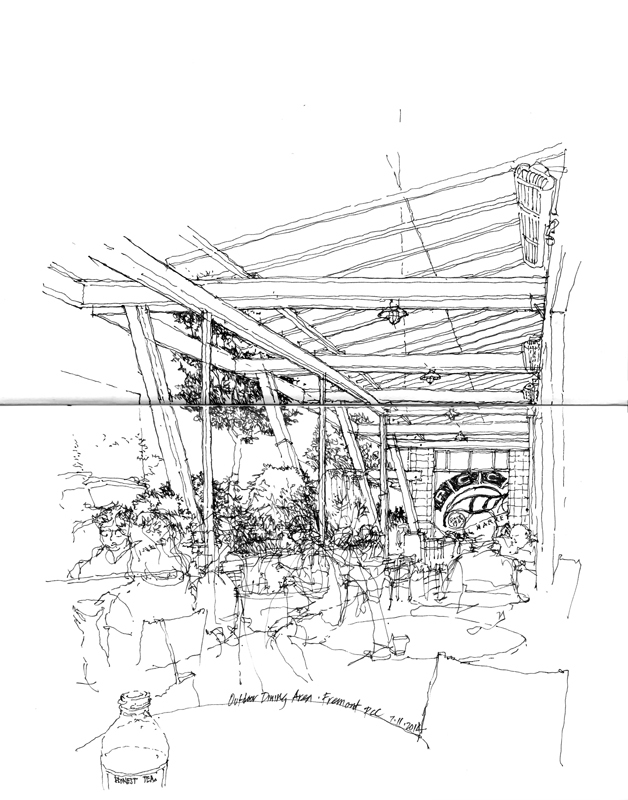 This entry was posted in Drawing, Urban Sketchers by FC_admin. Bookmark the permalink.